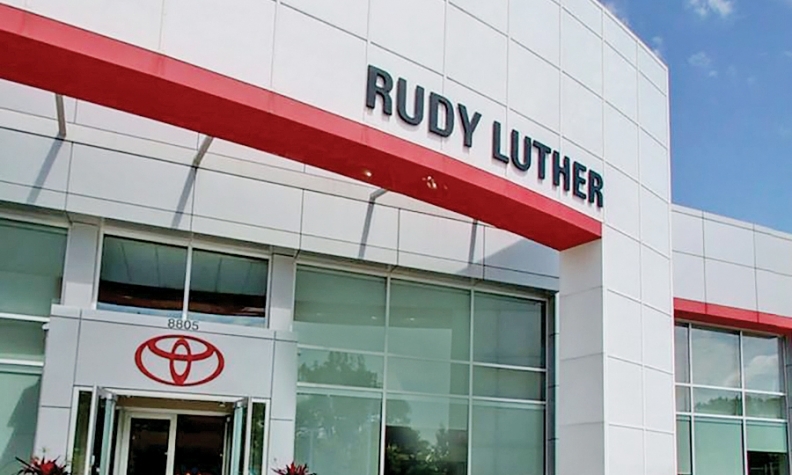 Six months after using targeted advertising, Rudy Luther Toyota's profit per vehicle increased by 17 percent. Using a data tool that found similarities among its most loyal customers, Luther Automotive Group increased sales and profitability per vehicle by aiming marketing messages at similar households. Editor's note: Michael Murphey's name was misspelled in an earlier version of this story. By studying a dealership's most loyal customers and marketing specifically to similar households that hadn't shopped there before, a Minnesota group not only increased sales but also generated significantly higher profits on the incremental volume. Luther Automotive Group used a data-tool provider called Semcasting to mine one of its 35 dealerships' records for "high-lifetime value" customers. Semcasting combed through the data from Rudy Luther Toyota in Golden Valley, Minn., for customers who had purchased a vehicle and had it serviced there at least three times, then created a custom predictive model by evaluating more than 700 characteristics of those customers to find commonalities. "The model will look at geography, dispensable income, hobbies, subscriptions; it will look at participation in certain programs," Michael Murphey, general manager of automotive solutions at Semcasting, told Automotive News. "It's very much across the board. When I go into this situation, I never have any preconceived idea of what that model will look like by the time it comes out of the system." Gallagher: "We brought in all kinds of new customers. People that have never done business." Semcasting focused on areas where high-lifetime value customers lived and identified and scored other households based on the model criteria, Murphey said. Those that had a transaction history with the store were thrown out, and those that scored in the top 10 percent became the target market. "When we identified the target market ... we sliced them and we only digitally advertised to one-third of that marketplace," Mike Gallagher, COO of Luther Automotive, told Automotive News. "We left two-thirds of them unmarketed to, and then we compared the two groups." Over the course of 60 days, Semcasting targeted 15,233 households with display advertising, each at an average frequency of three impressions per day. After six months, the dealership's profit per vehicle increased by 17 percent. The campaign group produced $2,400 in average front-end profit per sale, about $350 more than the average for the households in the control group of 42,039 that didn't get the marketing messages. "We brought in all kinds of new customers. People that have never done business," said Gallagher. "So you look, and you go, 'Wow. That's amazing.' Here's the hard part: trying to figure out how many of them would've come in anyways. We're well-known." 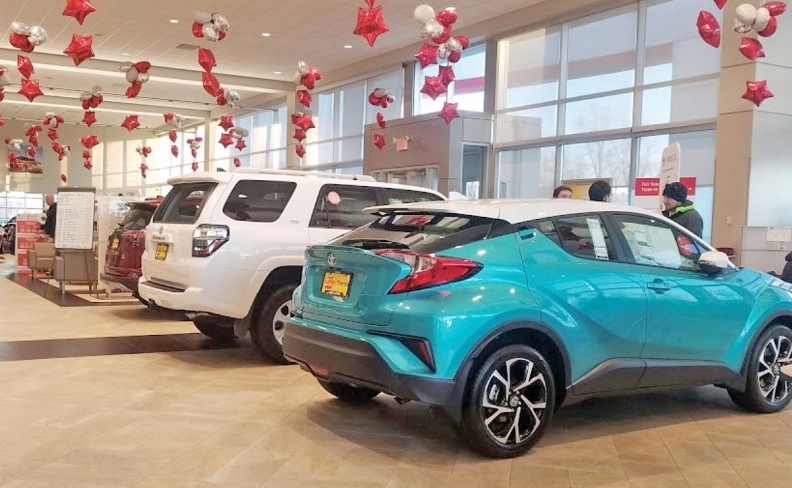 In late 2017, Luther Automotive expanded the campaign to three more of its stores, Gallagher said, and if the positive results continue, the group plans to roll out the technology everywhere it operates. The group, headquartered in Minneapolis, has 35 stores and sells 47,000 new vehicles and 46,000 used vehicles per year. "We're very excited about it. I think Semcasting's really got something here, and I'm sure it'll get easier and easier to use," Gallagher said. "If we keep having these results, it'll definitely become one of the major arrows in our quiver." In the initial campaign, the households that received the targeted marketing messages bought 33 vehicles, or one for every 461 homes, while the control households bought 30 vehicles, or one for every 1,401. 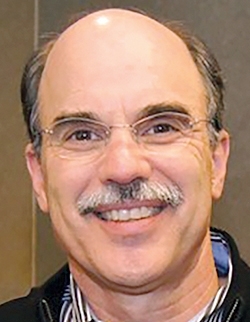 "Because I keep a connection with the [dealer management system], I can always support the campaign with true sales. I don't talk about my campaigns in the sense of 'Here was your click-through rate, this is your impressions, this is how many leads,' " Murphey said. "That's really not a part of the conversation at all. My conversation is all about, 'This is what you invested, this is how many households we spoke to, and of those households, this is how many purchased vehicles during that period.' "
The Semcasting technology platform behind the effort is called SmartTarget Conquest. The company, in North Andover, Mass., was founded in 2009 and works with clients in a number of industries, including health care, telecom and travel. "I always found marketing to sell cars to be somewhat shortsighted, and in most times, nearly impossible to track," Murphey said. "Not all car buyers are equal. Someone that drives 50 miles to buy one of your rarer used cars and squeezes the entire store on profit is very different than somebody that lives in your backyard, buys a vehicle, isn't there to negotiate and has a propensity to service that vehicle in the future."